It is easy to understand the appeal. 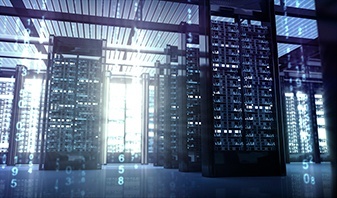 There is plenty of demand for more bandwidth in cloud data centers, driven by faster CPUs, AI/ML, distributed flash storage and server-less compute. Upgrading cloud networks from 100G today to 400G over the next few years enables cloud applications to scale in the most power and cost-effective fashion. Over the next year, we will upgrade the majority of our switching platforms to support 400G. The first 400G switches we are launching on this journey support 32 ports of 400G that can be configured as up to 128 ports of 100G in a compact 1U form factor. There are two models: the Arista 7060PX4-32 that supports OSFP optics and the 7060DX4-32 that supports QSFP-DD. We have customers that prefer the OSFP form factor that offers superior thermal and electrical performance plus forward compatible with the next generation of 112G SERDES switch chips, and we have customers who prefer the QSFP-DD for strict backward compatibility with QSFP. Wide range of optics for both single-mode and multimode fiber deployments. Ten great reasons to embrace our new 400G Ethernet switch products. But the most important thing about our new switches is not even the hardware but the software: they ship with a fully qualified EOS software release, which means that customers can deploy these new switches with confidence immediately in their production networks. In addition, EOS will take full advantage of the new features and capabilities of the switch silicon, including significantly larger buffers and tables. In conclusion, 400G is the next big step in the evolution of high-performance cloud networks, offering compelling benefits in every metric. It is a standard that will be with us for a long time. At Arista, our mission is to build the best 400G switch products for you and to be your best partner on this journey towards 400G. 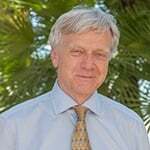 As Chief Development Officer, Andy Bechtolsheim is responsible for the overall product development and technical direction of Arista Networks.